There are a lot of different ways to increase sales on a Shopify website. New Shopify store owners struggle to boost their website traffic and sales. However, in this article, I am going to discuss only tested methods that will immediately increase your Shopify sales. 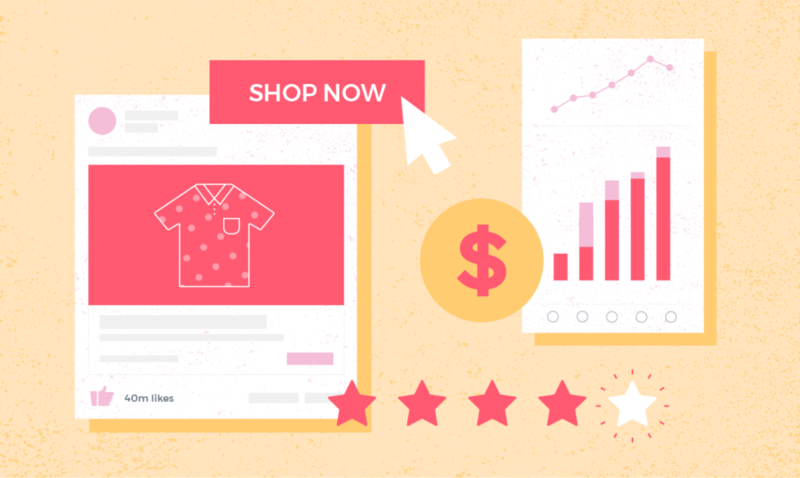 Without further wait, let’s talk about how to increase sales on your Shopify Website. Have you come across a website that has an unbelievably insane amount of email subscribers, Facebook fans or Instagram followers? Most probably yes, because we all love window shopping time to time. As an entrepreneur the question that would pop up in your mind: How those websites developed such a loyal customer base? The answer is; by spending plenty of time, effort and of course money on their website and marketing. What are different ways to Increase Sales on your Shopify website? Your website needs a lot of traffic + highly optimized sales pages to boost sales. I will do my best to share as many best practices which you can apply on your Shopify website to boost sales. If you don’t tell your potential customers to take specific action on a website, believe it or not, your bounce rate will be high and lower conversions. That’s why it is important that you convince them to buy a product from you. All the great Shopify websites use amazing call-to-actions. It encourages customers to buy products. Call-to-action can be a button or a simple internal link which will drive users to a sales page. These will increase your Shopify sales to the next level. Use short text with call-to-action buttons. Create CTA buttons on important pages, such as homepage, blog header, blog sidebar, navigation menu, and footer. Use CTA buttons that encourage users to buy a product. Also check out this article on how to optimize a landing page for higher conversion rates. What content your customers would like to read? How to convert those readers into customers? How to create amazing unique content? Create useful content that your customers would love to read and share. Blogging has helped many small businesses to boost sales. You need to understand your target customer problems, then write a useful blog post that will target those needs. Always write catchy headlines and make sure to optimize your content for search engines. Check out this small business SEO guide if you want to optimize your Shopify site to attract more search traffic. It is one of the marketing methods that many Shopify website owners ignore. Why? Because they don’t know how to boost their sales and customers by an email marketing campaigns. Use lead forms on important pages to capture leads throughout your website. Offer your customers something valuable such as compelling discount offers, and in return ask for their email. Once you have those emails, you can use in many different ways. But don’t spam their inboxes with irrelevant content that’s not beneficial to them. Create useful content and share with your customers. Use call-to-action in every email campaign. Also make sure to check out this amazing email marketing guide by MailChimp. Organic search traffic is a must for every business long-term survival. If you haven’t already optimized your website, then do it right away or hire a freelance SEO specialist to take care of your website’s SEO. Things we usually optimize on a website internally is called on-page SEO. There are a lot of different factors which are considered when optimizing on-page SEO. Please check out these on-page SEO tips for beginners for more on-page SEO tips. Things like optimizing Meta title, descriptions, HTML headings (H1 – H6), URL structure, website structure, page load speed, mobile SEO, and many more other such factors. Any activity which will be done to promote your website on other online platforms can be called off-page SEO. Off-page SEO is essential to boost your website’s domain authority. There are plenty of benefits of off-page SEO. You can write blog post on other blogs influential in your industry to get dofollow backlinks. Alternatively, you can make social profiles, create web 2.0 blogs, and ask influencers to endorse your website. You can use these best free link building tools to improve your off-page SEO. Make sure that all the links you create are relevant to your website and the website your link is coming from is popular. I hope you like this article. I would really appreciate if you share it and spread the word.